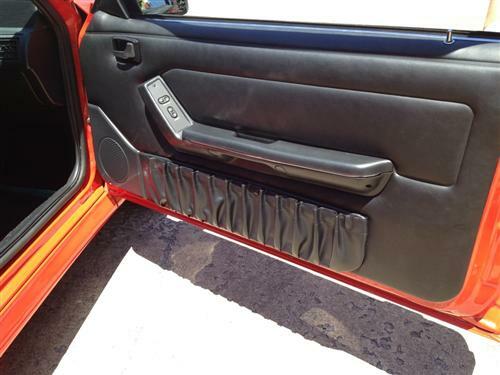 Pick up a new set of 1990-1993 Mustang door panel map pockets to replace your old, faded, or missing pockets! No more Droopy and torn up map pockets. 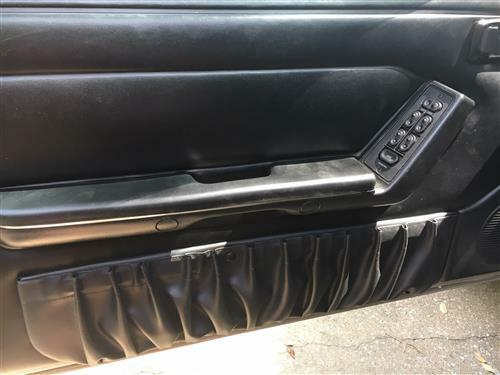 Used to you had to pull up the slack that was in the elastic and tie it off in order for the map pockets to fit flush with the door panel like they should. Not Anymore!!!! These replacement map pockets will work for either factory door panels, or our aftermarket offerings. Simply installs in place of factory map pocket to restore the overall look of your door. Once the Door panel is removed, bend up the factory "brads" that hold the OEM Map pocket to the door panel,install the new map pocket in place of the old unit and bend down the New "brads" to hold the new map pocket firmly in place. This simple restoration piece will have you feeling good about opening up your interior again.